The fall of the Southern Poverty Law Center may have come as a surprise to some people, but it was hardly a shock to Jim Tharpe. The retired reporter, who used to be the managing editor of the Montgomery Advertiser, had a front-row seat for the bigoted dysfunction of the SPLC for years. As the journalist who dropped the first bombshell about the group's toxic culture in 1994, he was just waiting for the rest of the country to catch on. In a refreshingly frank column for the Washington Post, Tharpe talks about the open secret of what went on behind the closed doors of SPLC's Poverty Palace. "To those of us familiar with the SPLC and its inner workings, the allegations swirling around the latest drama were familiar. The question isn't what went wrong at the SPLC; it is why it took so long for the rest of the country to learn what local reporters already knew. It will probably take a federal investigation to fully unravel this deep-South mystery and provide a credible, long-term fix." Tharpe thinks back on his time at the Advertiser more than two decades ago. Just a block from SPLC headquarters, he was the first to sense something about the organization was horribly wrong. He was so sure of it that he started to push for the group to be investigated, especially, he writes, "after ongoing complaints from former SPLC staffers, who came and went with regularity but always seemed to tell the same story. Only the names and faces changed. The SPLC, they said, was not what it appeared to be. Many urged the newspaper to take a look." At the time, the Advertiser was in good stead with the SPLC. Like other media outlets, Tharpe writes, "we generally parroted SPLC press releases. We also became friends with SPLC staffers, occasionally attending the center's parties. Some of my reporters dated staffers at the center." That all changed suddenly, when the newspaper started digging deeper into the group's shady finances and its workplace culture. 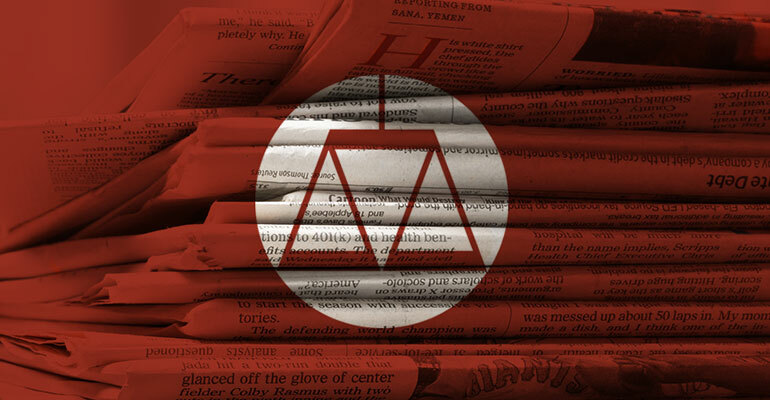 Despite legal threats and a refusal to cooperate, the Advertiser wrote the first scathing exposé into the SPLC's "questionable practices." The group's leadership went on the attack, insisting the series (which was a finalist for the 1995 Pulitzer Prize) wasn't true. Now, 25 years later, Tharpe shakes his head, the problems still haven't been resolved. It's time, he argues, for a full and complete investigation -- especially into the SPLC's finances. "It should look at what the center has told donors in its mail solicitations over the years. And it should take a close look at how that donor money has been spent. Investigators should also look at how SPLC staffers have been treated over the years. Where was the center's board when this mistreatment was going on? And why did no one step up sooner?" In the meantime, at least one of the tech giants is making the wise (and overdue) decision to back away from the radioactive organization. In a statement to the Daily Caller, a source inside Twitter confirmed that "The SPLC is not a member of Twitter's Trust and Safety Council or a partner the company has worked with recently." As recently as last year, the social media company listed the group as one of "safety partners" helping the platform police "hate." Although Google and Amazon haven't followed suit, you can bet that the more people uncover about SPLC, the faster the clock is ticking.